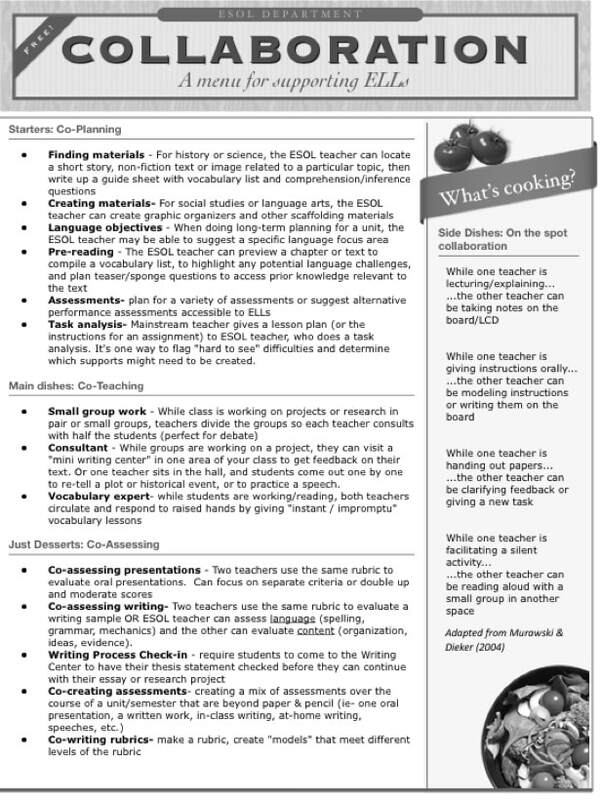 NYS CR Part 154 regulations define ENL (English as a New Language), formerly known as ESL, as a research-based program comprised of two components: a content area instructional component in English, and an English language development component. 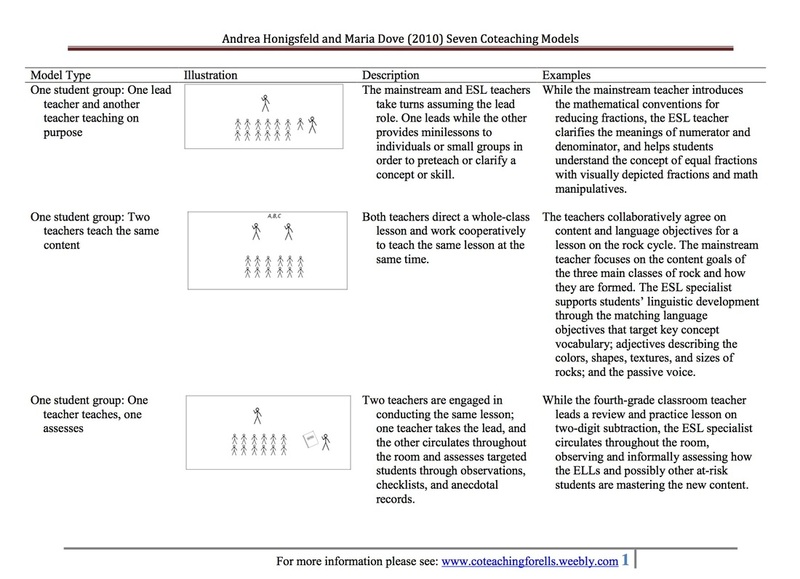 Integrated ENL requires either a dually certified teacher or a certified ESOL teacher and a certified content area teacher who co-teach a class. 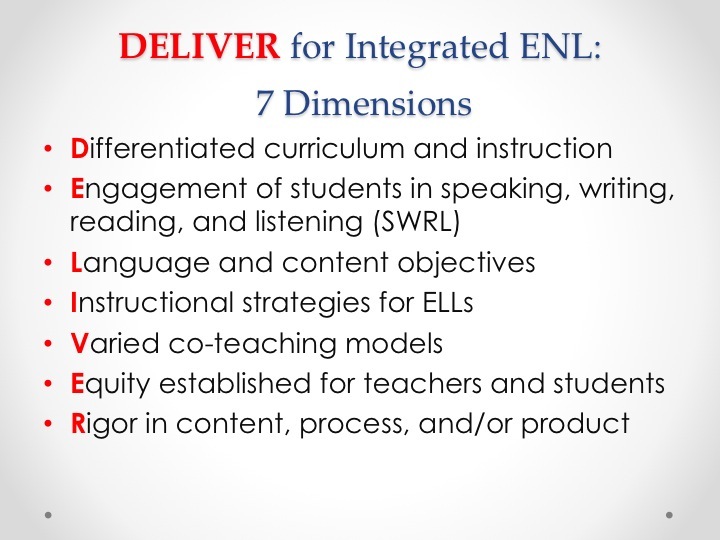 For Information about the 7 dimensions for delivering instruction in an integrated ENL class or our 7 co-teaching models, continue to scroll down the page. 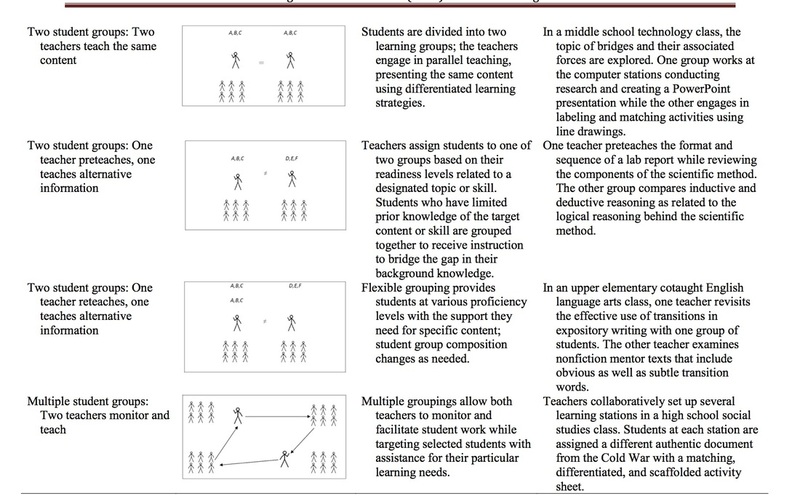 For a more global look at our co-teaching resources as well as our articles and research on the subject, please click on our companion website below.